New Delhi, Feb. 11: Faith is a Madrasi Gorkha. In the collective shock of a country at the death, life and death of Lance Naik Hanamanthappa Koppad, one man stands tall: his commanding officer, Col Um Bahadur Gurung of the Indian Army's 19 Madras battalion. Gurung kept hope alive and supervised the rescue and search at the post in Sonam after the wall of ice came down on his men on February 3. It was his faith that led the rescuers to Hanamanthappa and the others. Hanamanthappa died a little before noon following multiple organ failure, three days after he was pulled out alive from the ice-and-snow debris and nine days after the avalanche that killed nine other soldiers. "Lance Naik Hanamanthappa is no more. He breathed his last at 11.45am today," the Army Research and Referral Hospital said. "We tried our level best to fight the death of the brave Siachen warrior but this morning his blood pressure dropped despite our best efforts and he had a cardiac arrest," Lt Gen. S.D. Duhan, the director and commandant of the hospital, said. Gurung is a rare officer. A Nepali from Pokharan, he joined the Indian Army as a sepoy in the Gorkha Rifles. He was selected for the Army Cadet College through tough competition. The ACC in Dehradun trains personnel below officer rank to be commissioned as officers. Following a stint in the Indian Military Academy, he was commissioned into the Intelligence Corps. He was sent on attachment to 19 Madras. His superiors found his skills were exceptional. They quarrelled with their commanders and finally convinced the military secretary in Army Headquarters that he should be retained in the infantry. The Thambis (little brother in Tamil) - as the Madras Regiment is often called - have had their way so far. So it is that a Gorkha Thambi was born. "I found a special spark in him, especially in man management," recalled Maj Gen. Virendra Kumar (retired) who commanded the battalion between 1997 and 1999. "He was a Gorkha but he was received very well by the Madrasis and after his excellent role in Mendhar on the Line of Control, everyone looked up to him." Kumar recalls that Gurung was tasked to lead a squad that was hunting militants who had infiltrated through the LoC. "I had left a report with successors that we should try to retain him, especially for his conduct in small team operations. It is not easy to make the transition from jawan to officer but he made it through the written test and the interview." Kumar said his transfer to the infantry required a lot of persuasion. "Look what he has delivered today. Bodies have taken six to eight months to be found in the Glacier. There are many that are yet to be found," said Kumar who has also served as chief of staff in the Kashmir Valley (15) Corps. "Demise of soldiers in Siachen is very tragic," Prime Minister Narendra Modi tweeted on February 4. "I salute the brave soldiers who gave their lives to the nation. Condolences to their families." The message all but conveyed that there was little hope of survivors. Indeed there were doubts on whether the bodies could be recovered at all. But a radio crackled sometime in the evening, static delivering a message from beneath the blinding whiteness of the ice and snow. Col. Gurung told his men that nobody was to leave but that they should work in short bursts to both keep their bodies warm and continue the search. He called the base commander, at 10,500ft. He was between 19,600 and 20,000ft at all times, even through the nights. Between the Siachen Brigade (102) commander, the Northern Command and Army Headquarters in Delhi, his calls stirred a whole chain into action. First, two short-range Doppler Radars from the base camp were moved up to Sonam. An additional seven deep search Doppler Radars were flown from the Northern Command headquarters in Udhampur and Sirsawan. Two battalions of the Ladakh Scouts manning nearby posts were part of the rescue from the beginning. Ladakhis acclimatise faster in the heights. From the Siachen Battle School at the Brigade headquarters, four teams of instructors were sent up. Gurung knew the post was roughly 20 metres by 20 metres, including the helipad. The wall of ice that had fallen on it and broken into pieces was about 800 metres by 1,200 metres. Using the Doppler Radars, the rescuers found seven spots that may be air bubbles under the ice and snow. The rescuers started digging seven holes. Each hole was assigned three teams that would take turns in the digging along with the dogs, Dot and Misha. "Gurung always had a never-say-die attitude," says Colonel Devdutt Patankar (retired). Gurung was his second-in-command when Patankar headed the battalion from 2007 to 2009. Both Kumar and Patankar recalled Gurung's work during Operation Parakram - the full deployment of the Indian military following the attack on Parliament on December 13, 2001. He was forward deployed in the Ajnala sector on the Punjab border. The terrain had tall grass, and mining the fields, in anticipation that war could be breaking out with Pakistan, was ordered. Kumar knew this was a dangerous task and did not want casualties. In Op Parakram, about 500 Indian soldiers were killed during mining and de-mining - soldiers killed without going into a war that never broke out but for which they were deployed for more than a year. Kumar entrusted the task to Gurung. He was involved in removing six minefields after Parakram was called off. That is because he was meticulous in keeping the record on how many mines were laid and where. 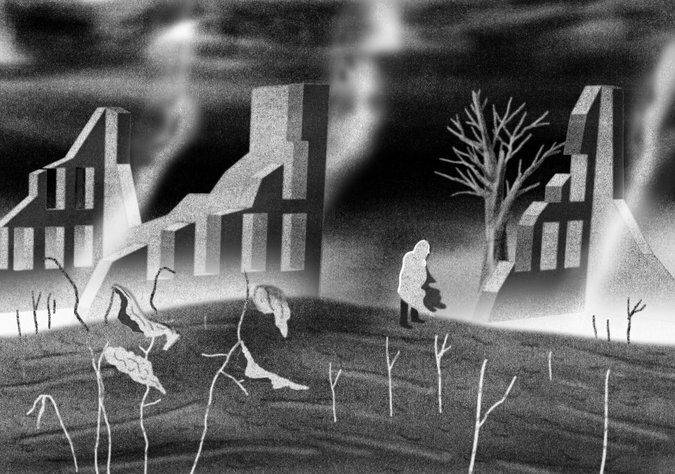 Floods and natural phenomena often cause mines to shift and take the lives of soldiers and civilians alike. Each of the minefields was 600 metres by 400 metres. Kumar said he completed the task and did not have a single casualty. That same meticulous detailing has gone into finding the bodies of his soldiers through this week in the harshest of climes. He nearly saved one. Hanamanthappa's death has served another notice on what it means to be an Indian Armyman even in peacetime. What it means for Gurung to lose a man is yet to be learnt. In the tragedy of the death of Hanamanthappa and his comrades, it is also time to celebrate a hero. That hero is faith, a Madrasi Gorkha and a commanding officer. I am watching an impressive ceremony for Lance Naik Hanumanthappa Koppad who finally gave up the fight this morning. The Army ceremony is poignant, dignified and appropriate. But my problem is why aren't there such ceremonies for all our soldiers and officers who die on duty? I detect a certain inherent proclivity for some chamchagiri here. If the PM hadn't flagged his concern by visiting the battling soldier in hospital, I am very sceptical if even a single senior officer would have cared to visit Hanumathappa. Or if the Army would have mounted such an impressive memorial service? Nine more soldiers of the Madras Regiment died in the avalanche. Their bodies are still up on the snowy heights. Let's hope the Army will accord them a similar honor. I wish this becomes the new norm for all battlefield military casualties and a senior officer is present for every military service. All casualties must be brought to Delhi first for the due honors before the remains are sent to the villages and hometowns for cremation or burial. The US military has a permanent honor guard at a military airport near Washington DC who perform a dignified spit and polish drill before the body/bodies are sent to the final resting place. Surely our military can afford the cost of flying the immediate family for the ceremony? Only when we honour our dead warriors and celebrate their lives will the Military become a preferred vocation in India. With Washington and European capitals wrapped tightly around the ISIS axle, which is a larger victory for ISIS than any massacre, I thought and Olympian perspective might prove useful. Here’s how the whole mess looks from on high. The inevitable American response to anything from mass murder to hangnails, airstrikes, are again failing. They do inhibit ISIS’s movements of large numbers of men on roads, something air power has historically done well. They may stiffen the backbones of whatever allies we have on the ground. But they have little chance of achieving a decision, at least as presently employed. In such cases of frustration, it can be helpful to turn to the work of Colonel John Boyd. Boyd advised that in any conflict, you want to pull your enemy apart, not help him cohere. 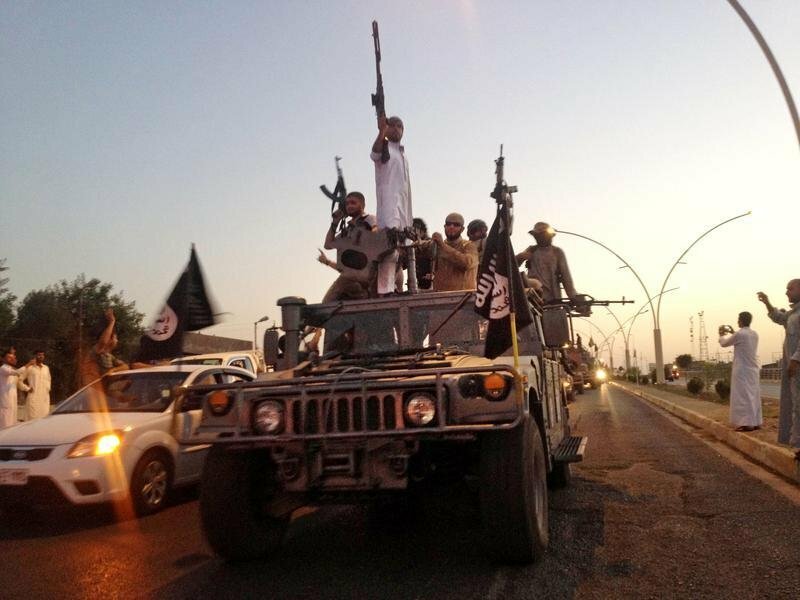 How might we pull ISIS apart? 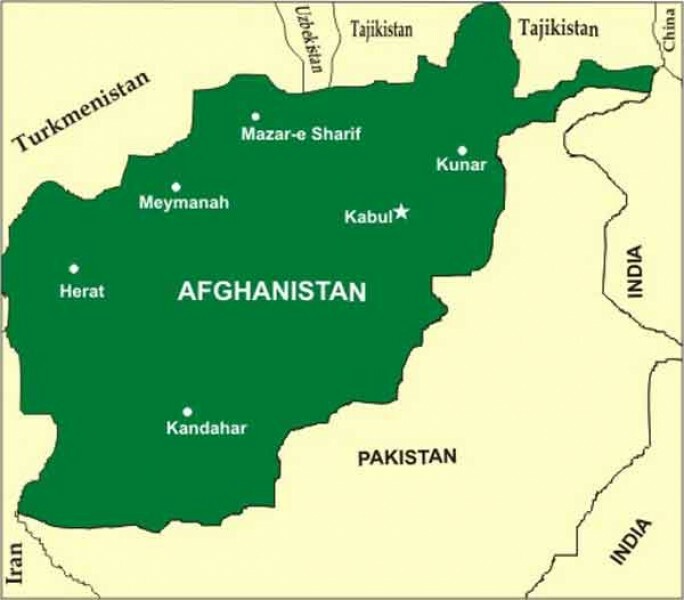 Afghan Peace Process: Headed Down a Blind Alley? The second meeting of the Quadrilateral Coordination Group (QCG) of Afghanistan, Pakistan, the US and China on the Afghan peace and reconciliation process was held in Kabul, Afghanistan, on January 18, 2016, a week after the first round of discussions concluded in Islamabad, Pakistan. The second meeting of the QCG had called on all Taliban groups to “accept the government’s call for peace through dialogue” and end the senseless violence against the Afghan people. The roadmap would include identification of the Taliban factions for negotiations, a timetable and incentives to be offered. It is expected that two more rounds of these “preparatory meetings” will take place. The third QCG meeting will be held on 06 February 2016, in Islamabad. How long will India tolerate habitual snubbing? The denial of visa to one of our most accomplished and iconic artistes Anupam Kher, out of the 17 who had applied and subsequent shenanigans on the part of Islamabad evokes a sense of déjà vu. It is perfectly in keeping with Pakistan’s perennial perfidy towards India, even though he had a valid invitation to the Karachi Literary Fest. The veteran actor’s passionate espousal of atrocities on Kashmir Pandits, including their forced exodus from the state, may have unnerved our western neighbour. Contrast this with the privileges always enjoyed by a bevy of Pakistani writers and artistes on Indian soil, including invites to the mother of all jamborees, the Jaipur Literary Fest. They are at complete liberty to walk in and out of such events. It would not be too surprising to find that some of them could be harbouring anti-India sentiments. Similarly, the West Bengal and UP governments accorded Ghulam Ali a warm welcome, just after his programme in Mumbai had been cancelled, though he has never uttered a word against terror attacks on India, as his detractors suggest with equal justification. Pakistani actors Veena Malik, Somy Ali, Javed Sheikh, Mohsin Khan, Ali Zafar, Salma and Sasha Agha (the mother-daughter duo) and many others have been enjoying Indian hospitality for long. They have used Bollywood and the generosity of their Indian fans to attain stardom, wealth and adulation, which would have been unthinkable in their own country. Pakistani singers Atif Aslam, Nusrat Fateh Ali Khan and Mehdi Hassan have performed without let or hindrance in India. Adnan Sami has been honoured with an Indian citizenship. Will Pakistan ever reciprocate a sliver of this goodwill? As I write, the nation prays for Lance Naik Hanumanthappa’s speedy recovery. His condition continues to be critical. This brave soldier continues to battle for his life, admitted in the ICU. His wife said it is a second life for him, but that is still to happen as he is on a life support system at the Research and Referral Military Hospital, Delhi. Latest medical bulletin announced his state to be critical. The hero of Sonam post, Hanumanthappa was rescued by a team of 100 men. 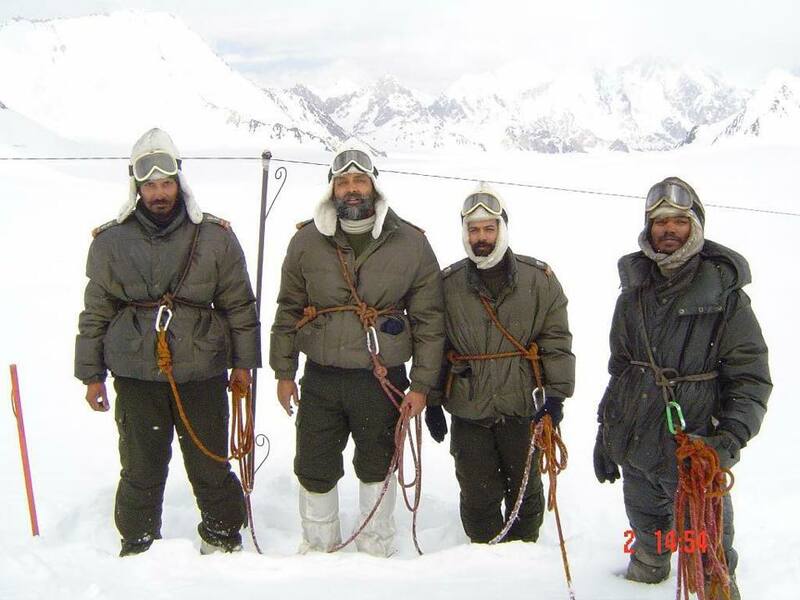 They braved minus 40-degree temperature, at 20500ft, using all possible techniques and methods, including sniffer dogs, to dig into 25 to 30 feet hard ice and snow and reach their comrades after five days of gruelling hard work. Military relations between rising powers are often caught in a conflictual cycle. 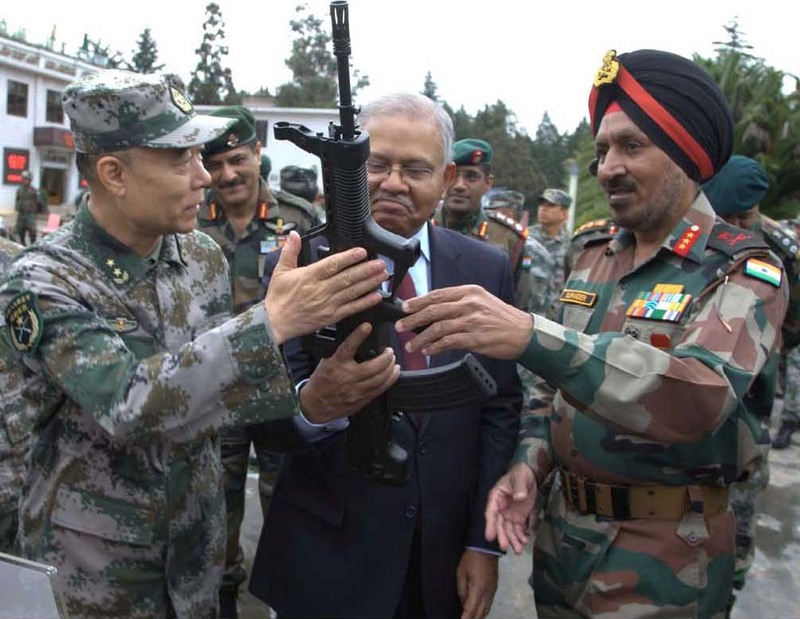 Yet Sino–Indian military relations is an exception in spite of wariness on both sides of the others strategic intentions. While the two states have been at odds for much of the Cold War following the Sino–Indian border war in 1962, the two sides have fashioned their bilateral relations in a commendable manner during Indian Prime Minister Manmohan Singh’s government. Part of the credit should go to on-going military diplomacy, engineered in stages between the two countries, which have allowed the People’s Liberation Army (PLA) and Indian Armed Forces to manage disputes and maintain peace along the disputed borders. The relative peace on the Chinese front has allowed India to redesign its force mobilization and redeploy them in Jammu and Kashmir and northeast for counter-insurgency operations. Reimagining India: Unlocking the Potential of Asia’s Next Superpower. Edited by McKinsey & Company. Simon & Schuster. ISBN 978-1-4767-6333-0. Rs. 699. “Reimagining India: Unlocking the Potential of Asia’s Next Superpower” is a compendium of wishes and dreams of a diverse cast of business leaders, academics, professional pontificators and guns-for-hire reimagining India from their perches and narrow concerns, and put together by McKinsey and Company. McKinsey & Company, Inc. is an American global management consulting firm that focuses on solving issues of concern to senior management. The firm now serves as an adviser to businesses, governments, and institutions around the world. McKinsey is considered to be the most prestigious management-consulting firm in the world. Countless 'dossiers' and lists of 'most-wanted' terrorists have been provided by New Delhi, only to be added to garbage in Islamabad. Another media storm has been orchestrated over nothing, as New Delhi presents the most recent of its succession of false triumphs against Pakistan-backed terrorism to the nation - the testimony of David Coleman Headley before a Mumbai court by video link from an "undisclosed destination". This momentous event, we are told by no less that Kiren Rijiju, minister of state for home, will end all ambiguity between state and non-state actors involved in Pakistan-backed Islamist terrorism: "The difference between the state and non-state actors will come to an end after this (Headley's) statement," he informed the media, adding, somewhat incoherently (perhaps we can blame the media for this) , "It is known that who all were involved. Headley's statement will lead to a logical conclusion. It will help us." It is astonishing that after over 30 years of Pakistan-backed terrorism in India, high officials of the Indian state still believe that the "difference between the state and non-state actors" persists. Further, if it is already know "who all were involved", what additional light does Headley throw on events? How India's anti-Modi views help Pakistan Islamabad bases its existence on being the antithesis of India. It's uncanny. After every terror attack on India from Pakistani soil, a rash of articles appears in Indian newspapers. Some are carried on the front pages of well-known dailies, others on the editorial page. All stress caution. Don't blame Pakistan yet, they chant in chorus. Simultaneously, television studios erupt with choreographed debates. Panellists urge viewers in dulcet tones not to jump to conclusions about Pakistani involvement in the latest terror strike. This orchestrated campaign has a single point objective: dilute the perception that Pakistan, "the state", had anything to do with the terror attack on India. It places the blame squarely on "non-state" actors over whom Pakistan's army generals, wringing their hands in helplessness, have no control. This unadulterated nonsense continues to be spread by sections of the Indian media despite David Headley's confession this week to an Indian court of the Pakistani army's direct involvement in terror strikes on India. The narrative echoes Islamabad's standard line and is a result of a longstanding Pakistani project. The project, generously funded by Islamabad, is aimed at subverting India's effete elite. Let's analyse how it works. This brief looks at how the multiple transition processes currently underway in Afghanistan are affecting "peace and conflict dynamics" in Pakistan. More specifically, it 1) provides a historical overview of Afghanistan-Pakistan relations; 2) describes the political, security, and economic transitions that Afghanistan is currently going through; 3) examines the potential impact of these transitions on three aspects of Pakistani life -- the radicalization of its young, the large numbers of Afghan refugees living within its borders, and India-Pakistan relations; 4) identifies a number of potential "entry points" for promoting peace between the two countries; and 5) recommends ways that Pakistan's civil society and its international partners can maximize their potential contribution to a sustainable regional peace. President Barack Obama’s 2017 defense budget proposal refocuses the Pentagon on great power conflict—or in other words, Russia and China. Both nations are becoming more aggressive along their peripheries, which means that even as the United States continues to cooperate on certain issues with both countries, Washington must be prepared to compete with Moscow and Beijing over the next twenty-five years. Question: Which statement most accurately describes China’s only aircraft carrier, the Liaoning? There is no question China’s only aircraft carrier, the Liaoning, poses no direct danger to the United States. It is a relatively small carrier with little in the way of advanced electronics or weaponry; and, because of its short flight deck, it is launching under-equipped planes. That said, many experts who have dismissed the carrier as nothing more than a symbol of national pride may be significantly underestimating its training value as China constructs several much larger and quite modern carriers. These same experts also are missing the role of the Liaoning as a coercive tool as China seeks to resolve many outstanding territorial disputes in the East and South China Seas in its favor. The United States has enjoyed unchallenged dominance in the space domain for years, but it appears that time has come to an end. China has been increasing its space activities, which will have strategic consequences for the U.S. The Cipher Brief spoke with Bruce MacDonald, a former White House National Security Council official, about the military applications of China’s space program. He says that, while there is a definite competition in this arena, the conflicting interests between the two countries does not have to result in actual conflict. The Cipher Brief: How has China’s space program changed and advanced over the last 10 years? How do you expect it to change moving forward? Bruce MacDonald: China’s program has improved both quantitatively and qualitatively, launching more satellites with more advanced capabilities each succeeding year. Many of these advances would be expected from an economically strong nation, but some are quite worrisome. In particular, they have repeatedly tested anti-satellite (ASAT) systems, recently demonstrating capabilities that would threaten even high altitude U.S. early warning satellites. MUNICH – The leaders of the United States and the European Union are making a grievous error in thinking that President Vladimir Putin’s Russia is a potential ally in the fight against the Islamic State. The evidence contradicts them. Putin’s current aim is to foster the EU’s disintegration, and the best way to do so is to flood the EU with Syrian refugees. Russian planes have been bombing the civilian population in southern Syria forcing them to flee to Jordan and Lebanon. There are now 20,000 Syrian refugees camped out in the desert awaiting admission to Jordan. A smaller number are waiting to enter Lebanon. Both groups are growing. Russia has also launched a large-scale air attack against civilians in northern Syria. This was followed by a ground assault by Syrian President Bashar al-Assad’s army against Aleppo, a city that used to have 2 million inhabitants. 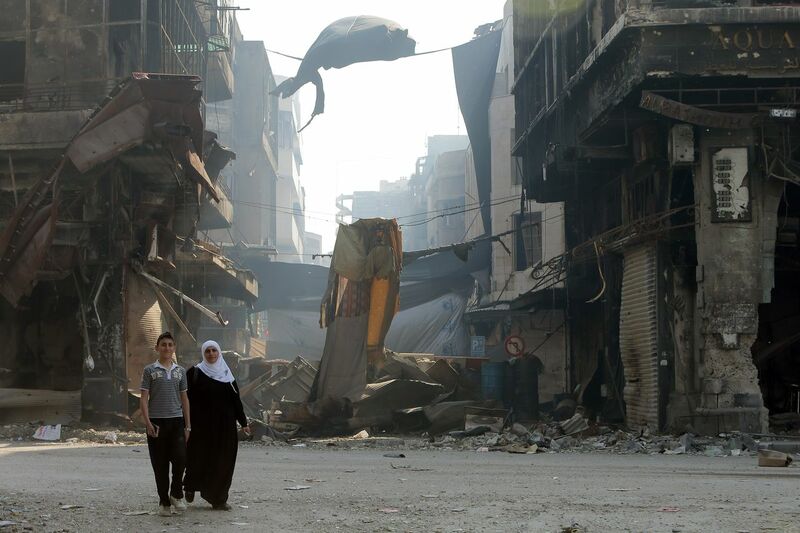 The barrel bombs caused 70,000 civilians to flee to Turkey; the ground offensive could uproot many more. Eventually, America's long-slog presidential primaries will end, and the world's most powerful country will turn to the general election. And when it does, polling suggests that foreign policy and terrorism will be major issues for voters. This will naturally focus much of our national discourse, over the following several months, on Syria. That's largely a good thing. Syria's civil war, which since its 2011 inception has become a proxy war involving much of the Middle East as well as the US and Russia, could use some attention. It is a disaster primarily for Syrians but also for the world, fueling ISIS and other terror groups, as well as the refugee crisis that is straining European unity. But it's no secret that political discourse tends to oversimplify and distort complex foreign policy issues. That's especially a problem during campaigns, when candidates are more focused on attracting voters with appealing rhetoric than on articulating sober-minded policy proposals. That means proposing too-easy-to-be-real solutions, downplaying trade-offs, caricaturing disagreements, and, especially, ignoring hard truths. His views aren’t as confused as they seem. In fact, they’re remarkably consistent — and they have a long history. A series of new security challenges tests the EU’s resolve and stability. There are two broad approaches to dealing with an insurgency. One is the conventional military approach, or what Dave Kilcullen refers to as the enemy-centric approach, which tends to focus efforts on the insurgents themselves. [i] There is, of course, wide variation within this approach, including whether efforts should focus on the leadership (decapitation measures) or group members (attrition), and which tools and methods a state will use to target the insurgents (covert action, law enforcement, military raids). The other is a population-centric approach, in which efforts focus on cutting off the insurgents’ lifeblood and supply lines by either providing rewards to the population for supporting the COIN, or by imposing costs on the population for supporting the insurgents. A population-centric approach may also focus on disengagement, attempting to convince current members to give up violence and to lure them away from the group. It is now some 15 years since 9/11, the United States has not only conducted a constant campaign against terrorism since that time, but has been at war with violent Islamist extremists in Afghanistan, then Iraq, and then Syria. It has gone from counterterrorism to a mix of counterterrorism and counterinsurgency in these three states where no meaningful boundaries exist between them while it increasingly is a partner in counterterrorism with nations in Europe, Africa, and Asia and throughout much of the Islamic world. The Burke Chair at CSIS has prepared a graphic survey of reporting from different officials, media, and research centers on the recent trends in terrorism and key related factors. This survey is available on the CSIS web site, and is entitled Key Trends in the Uncertain Metrics of Terrorism. It is available on the CSIS web site athttp://csis.org/files/publication/160208_key_trends_metrics_terrorism _cordesman.pdf. Defense versus Mandatory Spending: What Drives the Burden on the Budget and Economy? There is a mild irony in the fact that the New Hampshire primary will occur on the same day that the Department of Defense issues its new FY2017 defense budget briefing. The release of the defense budget almost inevitably triggers another round of debates over the cost of defense, while the New Hampshire primary is a contest between candidates who all seem to be running against the government they want to head, but say almost nothing about the hard choices they would have to make in shaping federal spending and finding ways to end the deficit. The Congressional Budget Office (CBO), however, does provide non-partisan estimates of the trends in the federal budget, and they show two critical trends that are shown inFigure One below. The first is that defense spending now puts a far lower pressure on the economy, budget, and the taxpayer than it did at the height of the Cold war when it reach peaks of around 7.5% of the economy. More than that, it has dropped from 5.2% of the GDP at the end of the Cold War to 3.2% in FY2016 – less than half of its Cold War peak, and is projected to drop to only 2.6% in 2016. This is a far steeper pace of cuts than the CBO projects in discretionary civil spending – although it too has dropped as burden on the economy – from 4.0% in 1996 to 3.5% in 1991, 3.3% in 2016, and a projected 2.6% in 2026. This briefing relies on field research conducted in Ukraine, Russia and the separatist entities of Donetsk and Luhansk to 1) measure the extent of Russia's influence over separatists operating in Eastern Ukraine, and 2) verify the presence of Moscow's "little green men" in the sub-region. The text's author further describes the recent political changes in the oblasts and their relations with Moscow. This brief takes the measure of current and potential conflicts throughout the globe (as of January 2016). Like previous publications in this series, it assesses whether the overall situation in each conflict has deteriorated, improved, or remained more or less unchanged. The brief also alerts readers to the prospects of 1) new conflicts arising, and 2) existing ones either getting worse or being resolved. 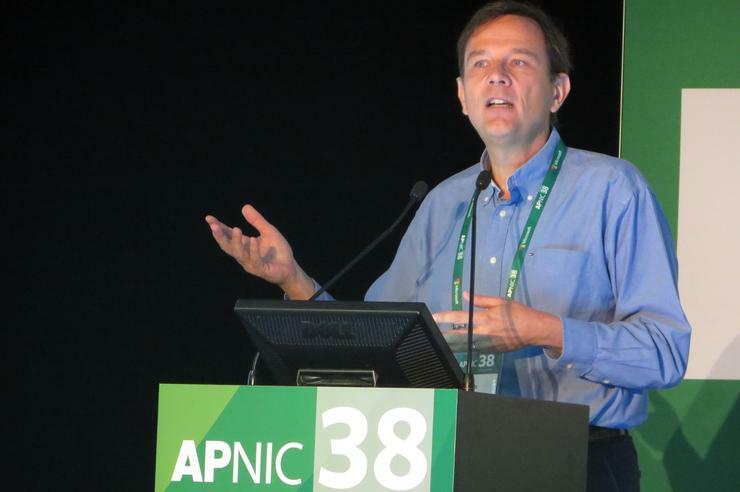 The Internet of Things (IoT) will create additional security risks for businesses and consumers, according to network security experts at the APNIC 38 conference in Brisbane. Each new machine connected to the Internet opens another window for malicious attackers to enter, they said. Eric Vyncke, an engineer with Cisco, said the extent of damage caused by hacking an IoT device can range from minor to devastating. For example, an air-conditioner system could be attacked to cause shivers in a conference hall or a nuclear power plant could be attacked to precipitate a meltdown, he said. On a more consumer level, a hacker could attack an Internet-connected pacemaker or an insulin pump to bring potentially fatal harm to a person, said Vyncke. Or, a burglar could scan the smart meter of a house to determine the hours or days when the owner is least likely to be home, he said. Most cyber-attacks are directed at information confidentiality, which is lost whenever information is stolen. There are also attacks, though fewer in number, on information availability. Such attacks are most often seen in the form of denial-of-service attacks, malicious encryption of data, and the occasional Sony-style destructive attack. What are not frequently seen are attacks on information integrity. An attack on integrity is one in which information is deliberately, and maliciously, altered so as to make the information unreliable or untrustworthy. Information integrity is critical since effective decision-making is difficult, or even impossible, when underlying information cannot be trusted. It is no exaggeration to say that the most vital activities of government and businesses revolve around people, processes, and technology working together to ensure information integrity. Defense Secretary Leon E. Panetta walks with James Clapper Jr., left, director of National Intelligence, and Lt. Gen. Ronald Burgess Jr., director of the Defense Intelligence Agency, before the agency's 50th anniversary commemoration ceremony on Joint Base Anacostia-Bolling in Washington, D.C., Sept. 29, 2011. Cybersecurity remains America’s greatest threat, according to a reportpresented today by James R. Clapper, Director of National Intelligence, to the Senate Select Committee on Intelligence. Almost two and a half centuries after America declared independence, over 150 years since the end of the Civil War, and 66 years since the Soviet Union became the second country in the world to possess nuclear weapons, the greatest threat the intelligence community sees facing the United States is Wi-Fi-enabled toasters. No, really. The United States Army must develop a holistic solution to Army-wide cyber resiliency and hardening of its electronic systems in order to address our current cyber capability gap. Cyber resiliency goals must be achieved by anticipating vulnerabilities and disruptions before they occur, being trained to withstand the effect or disruption should one occur, understand each echelon’s responsibility for recovering from a cyber attack or event, and continue to evolve our methods, doctrine, and training to address the ever-changing threat landscape. A holistic approach requires an analysis of our human capital, our training and education programs, how we acquire combat systems, and how to change the Army’s culture to prepare for intensive cyber conflict. Imagine in the not-so-distant future, we find ourselves in an extended ground conflict with a cyber peer. Are we prepared from the tactical edge to the strategic core for winning in a complex world? The 2014 MITRE paper, Cyber Resiliency Engineering Aid – Cyber Resiliency Techniques: Potential Interactions and Effects[i], forwards a Cyber Resiliency Engineering Framework (CREF) based off the premise that regardless of the erudition of one’s existing cybersecurity practices, organizations must accept that they will always be susceptible to ongoing - and largely stealthy - campaigns by sophisticated adversaries. To adapt to an evolving information environment MITRE has produced four Cyber Resiliency Goals or outcomes to govern defenders’ Cyber Resiliency actions. The first goal is anticipate,where one maintains a state of informed preparedness, followed by withstand which requires organizations to continue essential functions despite adversity. The next goal is to recover, where one restores essential functions during and after adversity. Lastly defenders attempt to evolve, which directs the adaptation of functions and supporting capabilities. Employment of the four governing outcomes of the CREF are illustrated in the below tactical 2025 vignette. ARLINGTON: The Defense Advanced Research Projects Agency (DARPA) is developing artificial intelligence that can help humans understand the floods of data they unleashed 50 years ago with the Internet and make better decisions, even in the heat of battle. Such “human-machine collaboration” – informally known as the centaur model – is the high-tech holy grail of the Defense Department’s plan to counter Russian and Chinese advances, known as the Third Offset Strategy. “We’ve had some great conversations with the deputy,” said DARPA directorArati Prabhakar, referring to the chief architect of Offset, Deputy Defense Secretary Bob Work. “In many of our programs you’ll see some of the technology components” of the strategy. But it’s more than specific technologies, however exotic: It’s about a new approach to technology. WITHER THE NEW WORLD ORDER?